Pomponio Ranch LLC had a successful year in the BWP Keuring. The combined results from across the country have been reported. Ovation PR (Uno de Laubry x Valeska x Darco) had top honors in the 3-6 year old mare division scoring an 82. 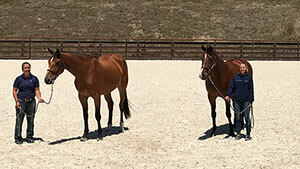 Ovation PR also earned her E-label toward future breeding. 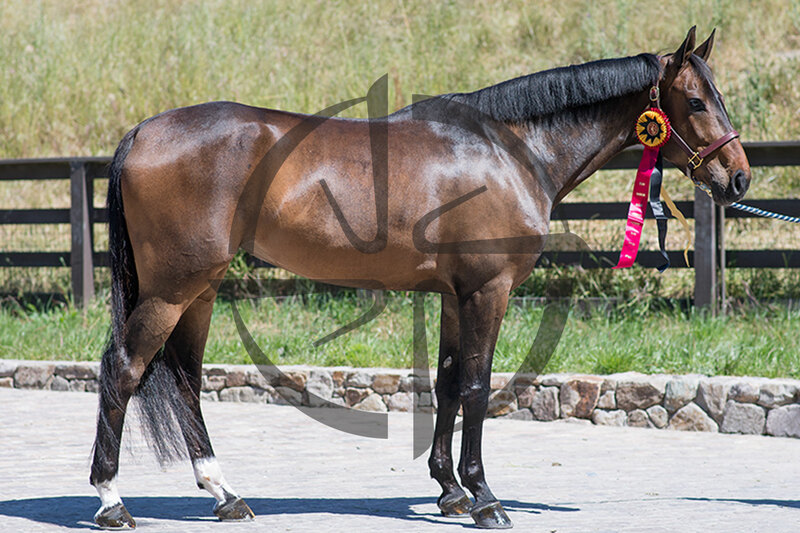 In the 7+ year old mare division Valeska van de Raampaardeen scored a 79 earning her Elite status as a proven high performance show horse and broodmare. A fun event with this mother-daughter duo. 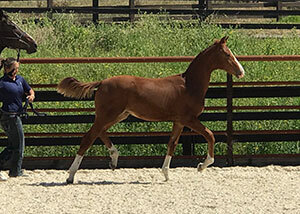 In the 2017 Colts division Replica PR (Jonkheer Z x Fortuna di San Martino x For Pleasure) had a high score of 83, which placed him tied for 5th overall and earning First Premium Foal status. He exhibited good movement in the trot and canter. Our top score in the 2017 Fillies division was an 82 earned by Regalia PR (ASB Conquistador x Fireworks x For Pleasure) finishing tied for 6th overall. Rêverie PR (Nabab de Rêve) followed with a score of 80 still finishing in the top 10. R U Lonesome Tonight PR(Presley Boy x Commille x Comme il Faut) scored just out of the top ten with a 79. All of the 2017 fillies presented earned First Premium foal status. Pomponio Ranch entered 5 yearlings in the 2017 BWP Yearling Futurity. Showing off a great trot and athletic movement Queenie Wahine PR (Presley Boy x Gina x Giradelli) tied for 6th with a score of 80 showing a very good expression and presence. 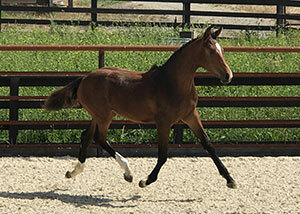 Qasallia PR (Casall x Fireworks x For Pleasure) followed with a score of 79, with her correct form, legs, and proportions, combined with athletic movements. Quintessential PR (Clinton 1 x Qroqant Z x Quickstar) scored a 75 with comments about being a well developed yearling, followed by Qhaleesi PR (Presley Boy x Gina x Giradelli) scoring a 74 with correct comformation, and rounding out our yearlings with a 73 colt Qonquistador PR (ASB Conquistador x Qroqant Z x Quickstar). All of our Pomponio Ranch entries had great scores, exhibited exciting movement, are athletic types and had good presence while being presented for inspection!